In a deal announced today, location-based marketing and loyalty company Placecast has been acquired by Emodo for an undisclosed amount. Emodo is a Swedish networking and telecom company that helps telcos monetize their subscriber data. The company, which debuted just months ago in November, is an Ericsson-owned entity. As part of today’s deal, San Francisco-based Placecast’s CEO Alistair Goodman will transition to the role of Emodo Chief Commercial Officer. Placecast’s 38 employees will join Emodo’s workforce of 27 at its headquarters in the same city. In a blog post, Goodman said that the deal builds on the strengths of both companies. “Placecast brings its leading carrier-verified, location-based data solutions to an experienced Emodo team, backed by Ericsson’s reputation as a neutral, trusted partner for mobile operators, advertisers, and publishers,” he said. The two firms plan to complete the integration by the second quarter of this year. Founded in 2005, Placecast offers location-based marketing and loyalty programs for mobile operators, payments companies and brands. The company maintains and scrubs location data from more than 400 million mobile user profiles, tens of millions of merchant records, IDs and addresses from around the globe. Placecast’s other location-based solutions include Mobile Data Management Platform, Mobile Demand-Side Platform, and Native Mobile Advertising, among others. 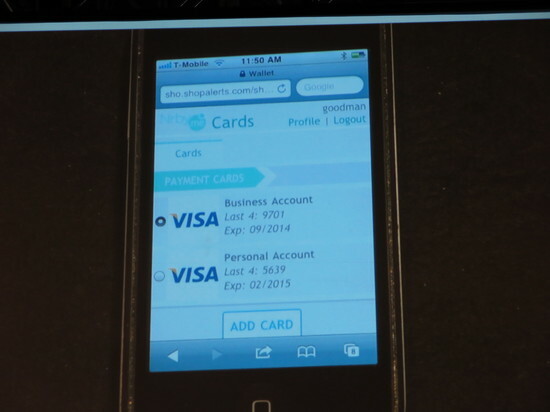 The company demoed Shop Alerts mobile wallet at FinovateSpring 2013, at the height of fintech’s mobile wallet boom. Last July, Placecast launched Location Verification, a solution that leverages data from U.S. carriers to confirm the location accuracy of mobile ads, audiences, and attribution to bring geolocation to the next level. The heyday for geolocation may have been in 2012, when card-linked offers were at their peak. But geolocation solutions company Placecast is bringing it back. Last week, the California-based company launched Location Verification to bring geolocation to the next level. Developed in partnership with Sprint’s Pinsight Media, the new solution aims to help marketers and advertisers validate the location accuracy of geo-targeted mobile ad campaigns. Location Verification leverages carrier data from Pinsight Media to confirm the accuracy of mobile advertisements, giving marketers a cost-effective way to reach their target audience. This accuracy mitigates the estimated 25% of media spend budget that is lost on wasted coverage, which this year will add up to $4 billion of the $16 billion spent on targeted, mobile ads. Founded in 2005, Placecast demoed at FinovateSpring 2013. The company’s other location-based solutions include Mobile Data Management Platform, Mobile Demand-Side Platform, and Native Mobile Advertising, among others. Last fall, the company was awarded two location data patents. Earlier in 2016, Placecast unveiled a strategic, 3-year partnership with Mobsta, a U.K.-based location-targeting specialist for mobile and tablet. 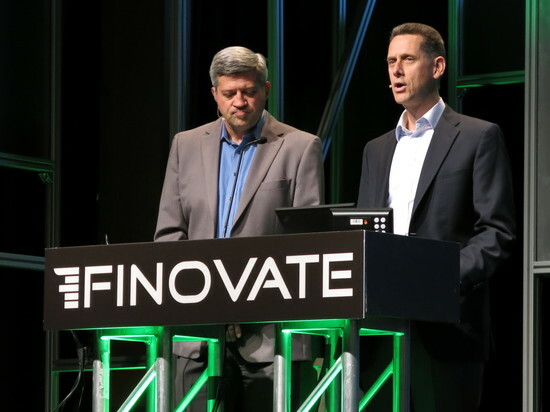 This year, 12 Finovate alums were selected among 250 other winners in the AlwaysOn Global 250 awards, and two Finovate alums were identified among 50 other Companies to Watch. The awards honor the top 250 U.S.-based private tech companies, plus recognize 50 to watch. Some of the underlying themes in this group of 300 innovative companies include mobile technology, cloud-based solutions, and social network integration. Zopa Safeguard now has 15,000 users and has had £16m lent on platform. Zopa reaches £300m in money lent to borrowers in the UK. Bank Innovation reports: Cardlytics Has 33 Million Active Users at 400 Banks. Inc. Magazine creates infographic of how to select the right crowdfunding platform. Bolstr and SeedInvest among choices. CommunityLend’s FinanceIt partners with Pivotal Payments, a credit card payment processing company, to enable merchants to process loans directly at the POS. Capital Access Network opens new facility in Lindora, Costa Rica to support growth. Finect president Jennifer Openshaw talks networking for financial professionals on MarketWatch Radio. Street Fight Mag includes Placecast among its “5 Tools for Point of Interest Geo-Targeting”. TransferWise launches GetPaid to make it easier to get compensated when working with international clients and partners. Developer Tech features Keynote Systems’ CEO Umang Gupta. Point of Sale highlights Finovate alumni Flint Mobile and PayPal. Social Trading Guru reviews ayondo 3.0. Finishing up the second session of Day Two of FinovateSpring is Placecast, developers of location-based marketing and loyalty programs for mobile operators and payment companies.